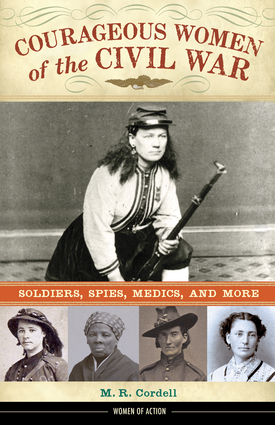 My nonfiction book, Courageous Women of the Civil War: Soldiers, Spies, Medics, and More, came out on August 1. It’s only been a few days since the book’s official release date, but it seems like much longer. Long before the book came out, I did something smart: on my Facebook account, I started friending folks from way back in my life. People I went to school with. My parents’ friends. Folks from around town. Writer friends. Hamline buddies (of course). I friended my fourth-grade teacher, my speech therapist from clear back in kindergarten, folks from Nodaway, shirttail relatives, college buddies, professors, the list goes on. Of course it’s nice to have all my old friends and relatives in one place, but I also knew that home folks would be interested in seeing what I did, since they knew me back when I was small and walking around with my nose in a book. The nice thing was how good it felt to reestablish contact after lo these many years. And when I talked about my book on there, folks actually got excited. This didn’t usually happen in my life, so it felt pretty good. A few months before my book’s release date, I hit a rough patch due to outside factors. I stopped caring about writing and was profoundly unmotivated to change this. My little family kept me going, and I love those guys for it, but I was low. I’d been a writer all my life, and now this other stuff was going on, and I was worried that I was going to be stuck without writing for the rest of my life. I needed help, but it seemed like wherever I turned for help a door would quietly shut in my face. somebody my book. They handed me a $20 bill. After all these years of hard work, I was getting a tangible reward. Instant gratification. And that’s when I got hungry. When I got hungry, I pulled out of my funk. I got so motivated sofast it made my head spin. So anytime anyone on FB said they wanted to buy my book, I told them that if they buy it from me, I’ll take it to them and sign it right there. Old friends are taking me up on that. The neat thing is, not only do I sell a book, but I get to talk to an old friend I haven’t seen for a while. That’s definitely worth the price of admission. Other friends are helping out in other ways. Some give me leads about places to sell my book, or they’ll share posts about my book with folks they know. Some friends have invited me to come out and give presentations. You never know who will have a lead for you – so invite ‘em all! And I’m getting more ideas just from hanging out with these guys. 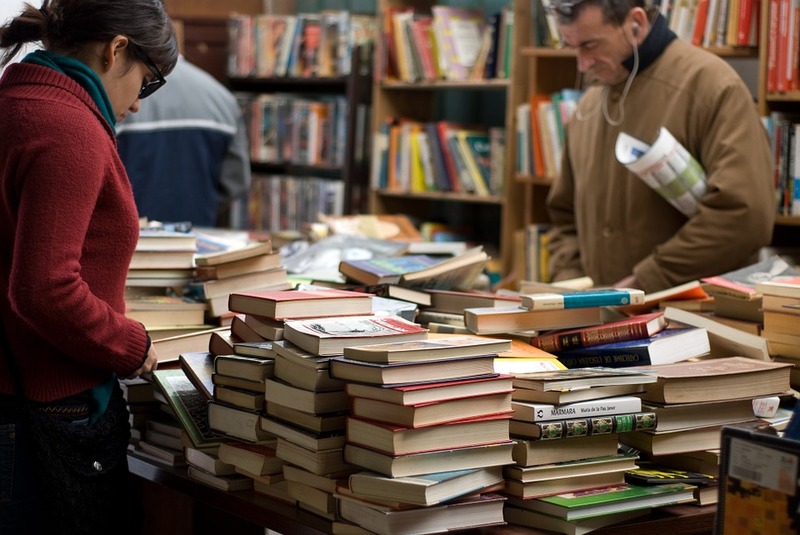 I used to say that I had no interest in self-publishing. Then, after an author’s showcase at the library where I hung out with a bunch of self-published writers with tons of books on their tables, I got hungry again. “Dude!” I thought. “I have so many old manuscripts that agents have passed on – I’m going to self-publish them too!” So now I’ll have more books to sell with my Civil War book. I’m still sending stuff out to agents – but Mama’s tired of waiting over here. She’s going to make her own damn books! You know, this whole experience has been a kick in the pants – a very welcome one, because I had no idea that promotion could be such a nice thing. My friends’ support has been invaluable, and actually has been one of my favorite parts of this whole journey. I wouldn’t have it any other way. *Melinda Cordell earned her Master’s in Writing for Children from Hamline University. Her first book, Courageous Women of the Civil War, has been published by Chicago Review Press and is (at this particular millisecond) a #1 New Release in Teen & Young Adult Military History. Melinda’s fiction and articles have appeared in Cricket, Highlights, and The Horn Book, as well as Organic Gardening, Birds and Blooms, and Grit. Visit her author’s website at http://www.melindacordell.com/ to learn more or just say hi! Great article, but more importantly, a great story. I have decided to publish my Create Space paper back "The Singing Bone," in hard cover, through Nook, based on this encouragement. Way to go Melinda! Good to hear it, Bill! Melinda, you have written a terrific book. I was delighted to write a blurb for it as the writing and the research are topnotch. Congratulations. awe that's good news! And you really do have lots of friends!